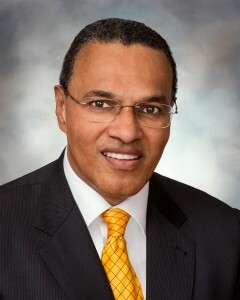 Freeman A. Hrabowski, III, is president of UMBC. What follows is a transcription of his remarks at the UMBC Discussion on Complex Challenges Facing Baltimore Communities held Friday, May 1, 2015. Someone asked me if I thought our students would come out for something in Baltimore. And I said, “I have no doubt.” Thousands of our students and faculty and staff care deeply about children and families in our city, because that’s who we are. This is about all of us; about our country, not just about Baltimore. What we see in our city is what we see in our country. When we think about inequality, when we think about questions of justice, these are issues that we face in our nation. And the role of the university is to teach people to think critically about the challenges that human beings face. I am so moved, because 35 years ago, the father of Freddie Gray was a student at Coppin when I was an administrator there. And so this is all, even on that individual level, very personal for me. Because 35 years ago, I thought that we were educating in a way that the world would be so different by the time you were born. And while in some ways it is, it is in many ways still with the challenges, whether it’s about lead poisoning, or about drugs, or about inequalities growing in our society. What is significant about UMBC, as I gain my strength from you, is that you care deeply about other people. Our faculty and staff care deeply about other people. There was a sign on the Administration Building that said, “We are Baltimore.” We are inextricably linked to the city; to the children, to the families. When I talk with LaMar Davis [of UMBC’s Shriver Center] about the Choice [Program] children, the hundreds of children we work with 24 hours a day, and wanting to make sure they’ve been safe during all this period; we have college students and others working with those babies–and when you’re 12, you’re still a baby in so many ways, you get my point?–who are working with them today … As new announcements are made, we see some hope that people are looking at justice issues. People are divided in our country. And so, what I need to say to you as President is that we at UMBC are thinking about the values of our country, about the need to care about other people, and the need to insist upon justice … This one incident is just that. But there are larger, systemic issues that we need to understand. This is why a teach-in with scholars and others can be so important. Because all of you will one day be those leaders who will have the chance to focus with us on the systemic issues of inequality and discrimination in our society. I challenge you to think about how blessed you are to be on a campus where faculty and other students care deeply about other people. Let’s think, let’s breathe, let’s remain calm as we focus on helping those children to be the best that they can be.